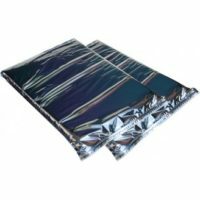 Coldkeepers Extreme Box Liners and Insulated Mailers help you keep your products at a stable temperature relative to ambient extremes. 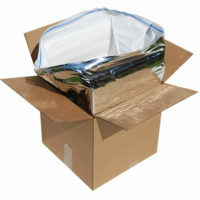 It is a better way to ship cosmetics that are sensitive to elevated or freezing temperatures. Cosmetics include a wide range of beauty products including eyeliner, lipstick, blush, mascara, soap, shampoo, skin-care creams, powder, nail polish, perfume, cologne, and a lot more products not listed. Eyeliners, Eyeshadows, Lipsticks, Blushes and other makeup cosmetics will liquefy if they are exposed to temperatures that are too high. The quality is then compromised and the product could potentially affect the skin differently or change the characteristics of the coverage. Most of cosmetics products are packaged using glass, meaning Insulated Shipping solutions that provide a cushioning effect could be utilized in order to diminish and prevent movement during the transport. Dropping, vibration or shock would result in damaged products. The Dual closure with leakproof zipper or tape inside and exterior self-seal strip would also prevent any leaking outside the box in that last case scenario. Last but not the least, certain creams, shampoos and soap are well known to pop open during transport, resulting in a messy spillage that could be avoided using our recommended Shipping practices. If the product freeze, the liquids inside the container will expand and ultimately damage the lid. Deliver your cosmetic products in a fashionable and effective manner. Coldkeepers Insulated Mailers provide a luxurious presentation to the recipient of your cosmetics products. Customizable, they can be printed with your private label to serve your Customer and your Business simultaneously. Cosmetics, considered as temperature sensitive products, require a cold chain packaging solution to be delivered in a fashionable and effective manner. Take advantage of our expertise and learn about best practices.